Volunteer Spotlight: Brennen Murray | Growing Chefs! 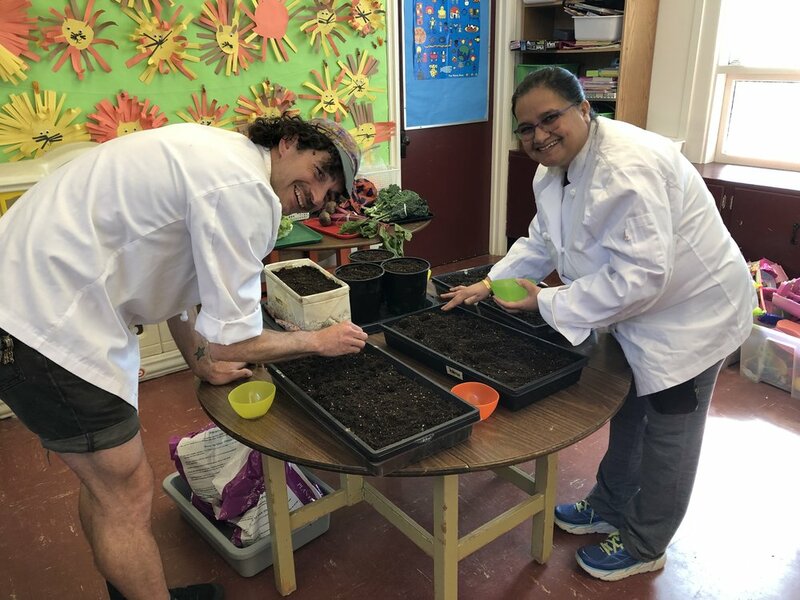 Our Classroom Gardening and Cooking Program is 100% delivered by our wonderful volunteers. We literally could not do what we do without the generous support of our volunteers who not only donate their time but their knowledge. Since it is National Volunteer Week and we have the BEST volunteers, we want to highlight a few. First off is a first-time volunteer (with us), Brennen Murray. Hi! Tell us a little about yourself. We hear you're a worm guy. Tell us more! How did you hear about Growing Chefs? What made you interested in volunteering with us? What's your favourite seasonal vegetable? How did your first lesson in the classroom go? Thank you so much Brennen - we (and your class) are lucky to have you. Stay tuned this week for more volunteer spotlights. Newer PostJoin the Champion Radish Club!